December sees the annual ‘review of the year’ blog posts and articles clogging up the Internet, and this year there seems to be a gloomy theme to many of these. 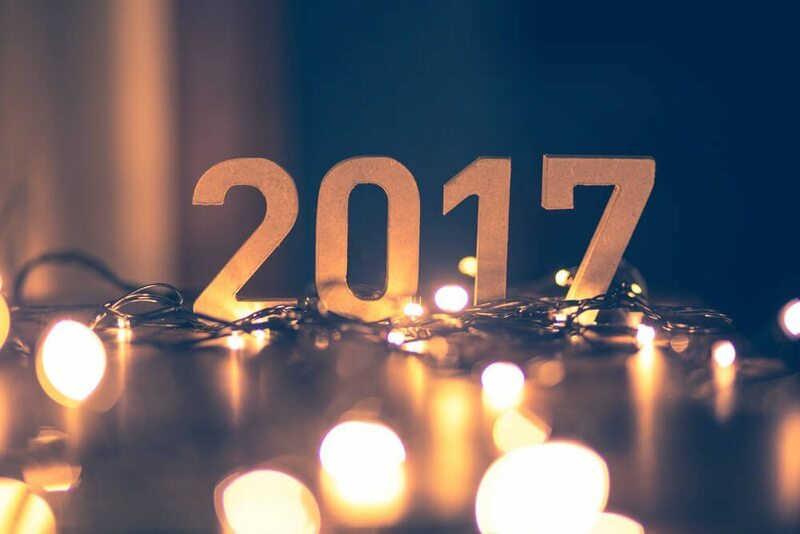 The overarching theme is that 2016 has been a difficult year; we’ve seen the death of so many of our heroes, economic uncertainty, Brexit, and Trump. While I can’t deny that 2016 has had its challenges for many businesses, I would like to end the year on a positive note. Our success over the last year has to be attributed to our loyal clients. Not only have you continued to put work our way, but you’ve also been brilliant at recommending us to others. We really value our long-standing relationships with our clients. Our approach is very much to be an extension of your team and we can deliver more value to you as our relationship develops. It’s all about getting to know you, your business, industry and market. I think it’s fair to say that we’ve had some great wins for all our clients over the last year – I’ll be collecting those testimonials from you in the New Year! 2016 has also seen some new additions to the Stop and Stare team. Firstly, Izzy’s back! We were all delighted, and relieved, to welcome her back to the office after her maternity leave. For those in the know, you will have noticed that Sharon has been absent for most of the year: we now have a new member of Team Barlow, the awesome April! Luckily for all of us Sharon is back from maternity leave in the New Year. Our design team has also grown with Alex joining us earlier in the year and Gee, our newest employee, joining last month. The studio side of the business is seeing plenty of exciting projects, from website design and regular design work for our clients, to one off campaigns and promotions. As well as our in-house team we also have a great network of suppliers, many of whom are providing their services on an on-going basis. This has enabled us to form some great partnerships with other businesses; such as NRG Digital (video production agency) who we share office space with, as well as copywriters, SEO providers, photographers and more! This leads me on to one partnership that will see exciting changes to Stop and Stare Marketing from January 2017. The result of much discussion, brainstorming and excitement is Hyped Marketing. We’ve decided to combine forces and merge, creating a new agency called Hyped Marketing. Don’t panic! This doesn’t change anything; it only makes it even better. Instead of just having Sharon and I heading up the business, you now get a super team. Me, Jamie Barlow – MD, managing the company and business development. We will be ably supported by our account managers, designers, and trusted suppliers. So from the New Year you will see some changes. New branding, new website, and signage outside our Farnham office – all the fun stuff! But our core services will remain the same, including our very popular marketing packages, as well as some extra packages that we’re developing in response to client demand. I’m really excited about this development – hyped might be a more accurate word! So as MD of Stop and Stare Marketing I’d like to wish all our clients, suppliers, and associates a very Merry Christmas – thank you for all your support in 2016 – and as the future MD of Hyped Marketing wish you a Happy New Year.